The Battle of Hoth was a crushing defeat for the Rebel Alliance, but the Empire has still not accomplished its ultimate goal. Countless Rebels, including the most prominent Rebel leaders, escaped and slipped past the Imperial blockade. Now, the Empire spreads its armies and resources across the galaxy, casting the net wide to catch fleeing Rebels before they can go to ground and disappear. One of the men in charge of these efforts is none other than General Sorin. 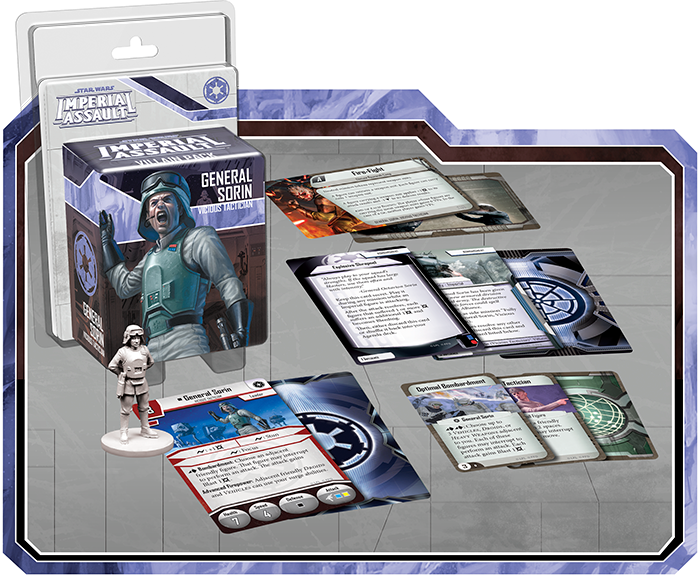 With the General Sorin Villain Pack, you can take command with this vicious tactician and use his strategic acumen to lead your Imperial forces in Imperial Assault. Like other Ally Packs and Villain Packs, this figure pack contains a sculpted plastic figure that you can use to replace the token from the Return to Hoth expansion. 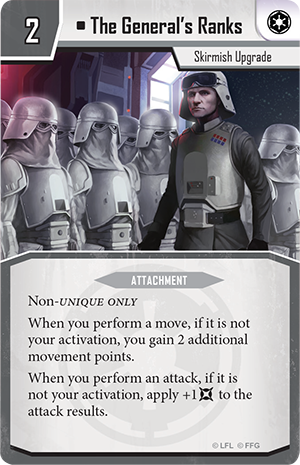 An assortment of Command cards, Deployment cards, two new skirmish missions, and a new campaign side mission also combine to make the General Sorin Villain Pack an invaluable asset for the Empire’s forces. Today, we’ll join the Empire’s upper echelons of leadership as we explore General Sorin’s unique tactics on the battlefield! General Sorin is the commander of an armored division of the Empire’s forces, and whether he takes the field in a campaign or a skirmish, he’ll quickly revolutionize the way you use your Droids and Vehicles. As an officer, General Sorin truly enters his own when he leads a division of armor against enemy forces. 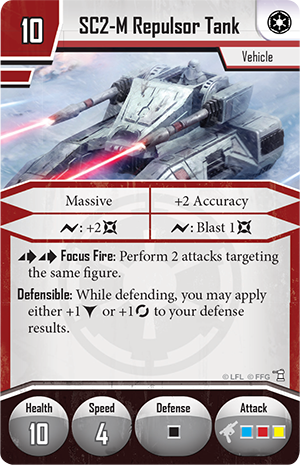 The Advanced Firepower ability allows all adjacent friendly Droids and Vehicles to use General Sorin’s surge abilities—spending a surge to deal a damage, to Stun your target, or to gain the Focused condition. 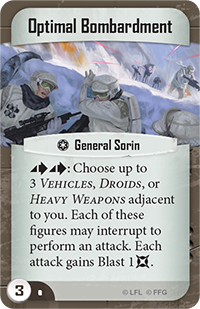 Since most Droids and Vehicles don’t have the ability to Stun or Focus, General Sorin’s aid can be incredibly useful for taking down enemy forces. General Sorin can also order another unit to strike by spending an action to trigger Bombardment. This ability allows you to choose a friendly figure adjacent to General Sorin, and the chosen figure may then interrupt Sorin’s activation to perform an attack. What’s more, this attack gains Blast 1 immediately! 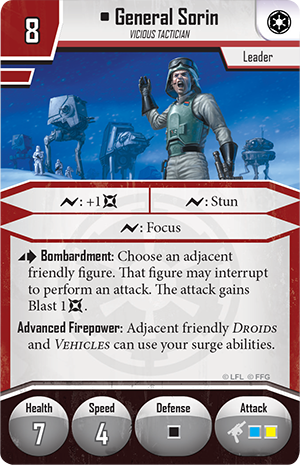 Whether you give the Blast keyword to a figure that normally lacks this ability or you use it to increase the already devastating firepower of an AT-ST or an SC2-M Repulsor Tank , ordering a Bombardment can wipe out entire squads of enemy figures. In your campaign games, General Sorin becomes an invaluable asset if you’re planning on deploying an array of Droids or Vehicles to oppose the Rebel heroes. Though General Sorin won’t easily wound the heroes with his own firepower, his leadership and tactical expertise can make your other units significantly more powerful. When you call upon General Sorin in a campaign game, you can use the Bombardment Agenda set, which offers three new Agenda cards for you to take full advantage of the general’s skills. A new agenda mission in the Bombardment set challenges the Rebels to infiltrate the heart of Sorin’s power at an Imperial base on Ando Prime. 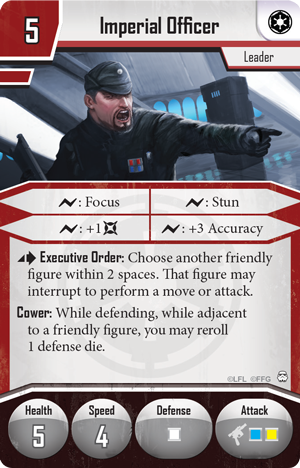 If the Rebels are successful, they could hamstring Sorin’s operations in the sector, but General Sorin is a cold and calculating opponent—you can be sure he’s prepared for every possibility, and any Rebels hoping to sabotage his operations may find themselves facing greater danger than they bargained for. Perhaps you’re planning to bring heavy vehicles like an AT-ST or an SC2-M Repulsor Tank into one of the campaign missions, but can’t quite stomach the steep threat cost. With Armored Division , you can reduce the deployment cost of any Vehicle by three, once per mission. This cost reduction can make it much easier to bring Vehicles into your missions, and once you’ve deployed them, you can make them more dangerous with Explosive Shrapnel . 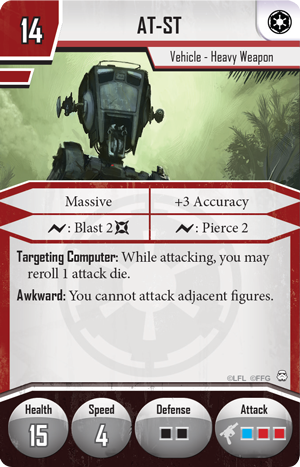 You can play this card during any mission when an Imperial figure attacks, forcing every figure that took damage from the attack to suffer an additional damage and become Bleeding. Obviously, the more figures you damage with a single attack, the more powerful Explosive Shrapnel becomes, making General Sorin’s ability to grant Blast a critical addition. In the skirmish game, as in the campaign, General Sorin is best suited to leading other units, giving crucial commands and using his knowledge of tactics and split-second decisions to ultimately crush opposing forces. With General Sorin in your strike team, you gain a full measure of adaptability, which you can harness whether you’re calling down Bombardments on swarms of foes or concentrating attacks on a priority target. 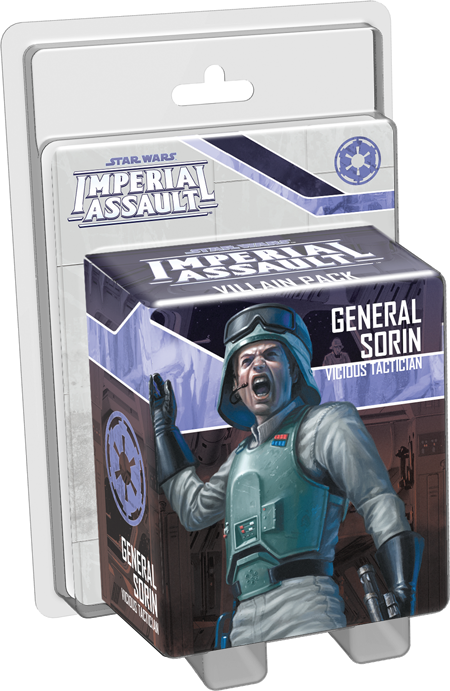 The General Sorin Villain Pack also includes a new skirmish upgrade that the Imperials can attach to one of their non-unique figure groups: The General's Ranks . The figure group equipped with The General’s Ranks gains two unique abilities. First, when one of these figures moves and it’s not that figure’s activation, the figure gains two additional movement points. In addition, while one of the figures in The General’s Ranks attacks outside of its activation, it gains a constant boost of one additional damage. Obviously, General Sorin can use his Bombardment ability to allow an adjacent friendly figure to make an attack outside of its activation. 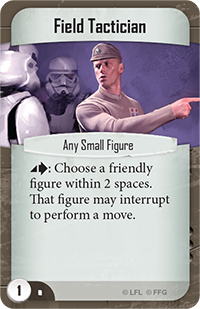 The General’s Ranks also works extremely well with elite Imperial Officers , since these officers can allow your figures to move or attack outside of their own activations. You’ll also find three new Command cards in this Villain Pack to supplement your forces for any skirmish mission. General Sorin’s unique Command card— Optimal Bombardment —lets you unleash a crippling assault. 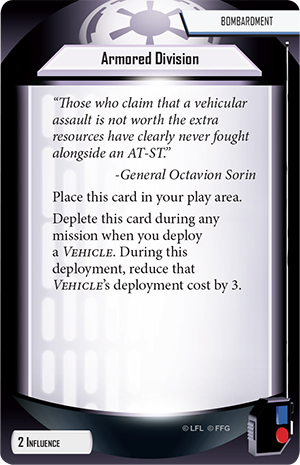 By playing this card and spending two actions, General Sorin can order up to three adjacent Vehicles, Droids, or Heavy Weapons. Each of the chosen figures may interrupt to perform an attack, and each of these attacks gains Blast 1! Since the attacking figures are already adjacent to General Sorin, the Droids and Vehicles can also use his surge abilities to unleash even more punishment on your foes. 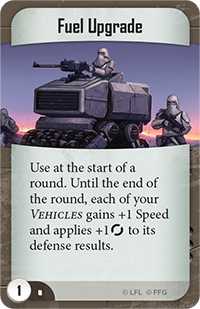 Other Command cards expand your opportunity to build a strike team of Vehicles supported by a few other figures, such as Imperial Officers. Fuel Upgrade gives all of your Vehicles increased speed and a constant evade result until the end of the round, helping you to get to your positions and survive incoming attacks as you set up the perfect bombardment. Alternatively, you may use Field Tactician on any small figure to choose a different friendly figure within two spaces. The chosen figure can then interrupt to perform a move, giving you even more options for triggering The General’s Ranks skirmish upgrade. As General Sorin, you command one of the Empire’s most innovative and dangerous armored divisions. Use your supreme tactics and your overwhelming firepower to crush the Rebellion in the aftermath of the Battle of Hoth! Pre-order your copy of the General Sorin Villain Pack at your local retailer today. Join us next time for our preview of the stalwart defenders of Hoth, the Echo Base Troopers!